The iconic Monarch Butterfly is probably the most recognizable butterfly in North America. Who has not witnessed this gentle, large, orange and black beauty as it flits amongst the milkweeds laying eggs, or sips nectar from any number of flowering plants. A sad truth about this butterfly is that it is being evaluated by the United States Fish and Wildlife Service for placement on the endangered species list. The reasons are not that difficult to understand. Loss of habitat, and misuse of pesticides and other agricultural products are the prime culprits. The Monarch is a remarkable animal in that as a species it migrates thousands of miles each year. The Eastern Monarch population which includes populations in the central and northeastern sections of North America including the US and Canada travel south to a small mountainous and habitat shrinking area in Central Mexico. This location is a recognized UNESCO World Heritage Site called the Monarch Biosphere Reserve. Each winter all of the surviving eastern population adults overwinter in this small geographic location. Importantly the Great Lakes and the regions including Lake Erie and the Niagara River, play critical roles in Monarch migration. In the autumn Monarchs from Souther Canada are just beginning their long journeys to Mexico. After they cross the waterbodies they land exhausted in abundant numbers along the US shorelines. They need sustenance. Most of our shorelines are very developed and native fall flowering nectar producing plants are scarce. Many monarchs have been observed in the past decade dieing of starvation along our shorelines. One of the PCA's Monarch Conservation strategies is to promote fall flowering plants along these shorelines including goldenrods, asters, and other species to help nurture and sustain the butterflies during the long migration. It works! -September 13, 2018 “A Grand Exodus” In a spectacular flow at least 500 miles wide, millions of monarchs made a grand exodus from the Great Lakes region-A once in a lifetime event. The decline of the Monarchs has lit a fire under conservation activists including the Pollinator Conservation Association. Since 2014 we have all been pulling together to recognize the threats and work to save this iconic species. The good news is that during the autumn of 2018, and throughout the Great Lakes, the Monarch butterfly which migrates from the north to a small mountainous area in north central Mexico has appeared in numbers not seen in decades. Great Lakes areas including Western New York and Southern Ontario played host to hundreds of thousands if not millions of these orange natural jewels as they flew, fed, and roosted in habitats such as the Times Beach Nature Preserve on the Lake Erie shoreline before they moved on in their long 2,000 mile migration. Monarch butterfly migration off this year. Researchers are worried. "Century-old botany records may hold key to monarch butterfly survival"
Like all insects, Monarch butterflies have several stages in the lifecycle. This includes egg, caterpillar, pupa and adult. 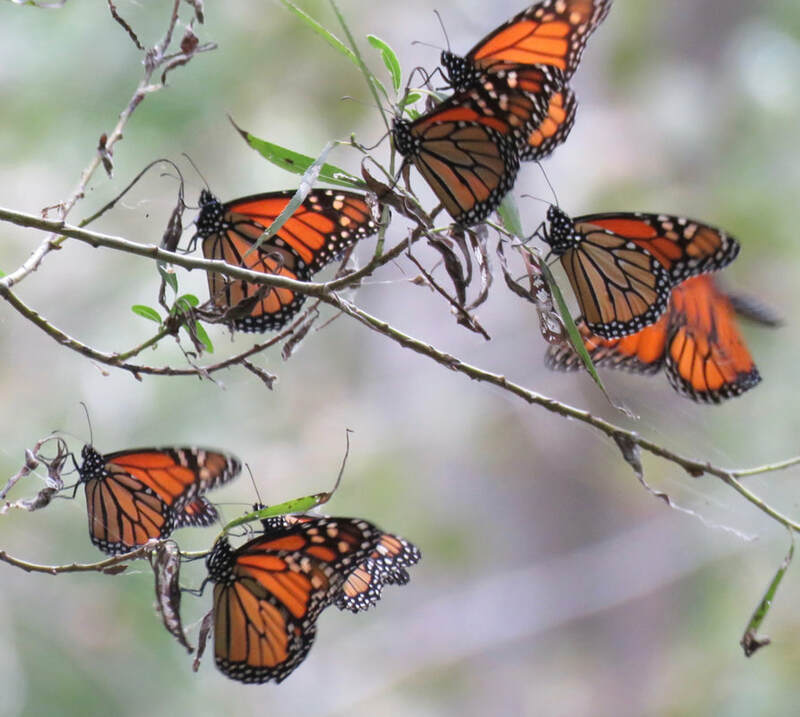 While Monarch butterflies are not the only migrating butterflies or insects, their migration story is fascinating and filled with scientific intrigue. It was not until 1975 when Fred and Norah Urquhart made the amazing scientific discovery that identifed the location to which the Eastern Monarch population wintered. ​One of the unusual factors of Monarch migration involves the multi-general aspect. The fall migrants from the north fly all the way (up to 3000 plus miles), to the overwintering grounds. In the spring they mate lay eggs. This continues to successive generations as they fly north. It may take up to 5 generations of the species before they reach their summer breeding grounds in the north including the Great Lakes region. We remain unsure about how Eastern Monarchs find their wintering area. 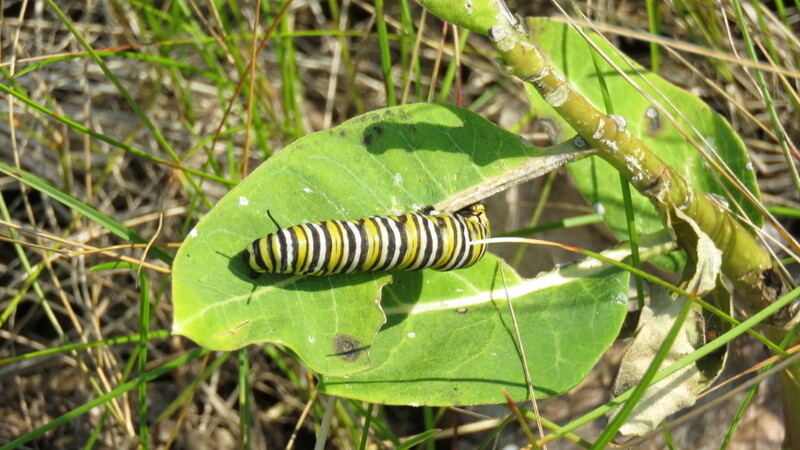 Adult Monarch Butterflies and caterpillars are toxic to most predators predators. This is a primary survival context in a world where many birds, mammals, and other insects are looking for tasty food. The reason that they are toxic is that they have evolved, like many specialized insect species, to eat only certain foods in the non adult stage of life. The primary food or host plant of the Monarch Butterfly is Milkweed. ​Adult female butterflies often lay eggs on milkweed and the chrysalis can be found on or near milkweed plantsMilkweed has toxic cardiac glycosides that are just right for growing Monarch caterpillars. Adult Monarchs are generalists when it comes to sipping nectar. We prefer that you plant with or conserve native plants but any nectar producing plant can be beneficial to Monarch's and other species of pollinators. It is especially important to think of fall flowering plants such as goldenrods and asters. Adult Monarchs need nectar from the time they arrive in early summer (May-July) until they have all departed in late fall (September October). 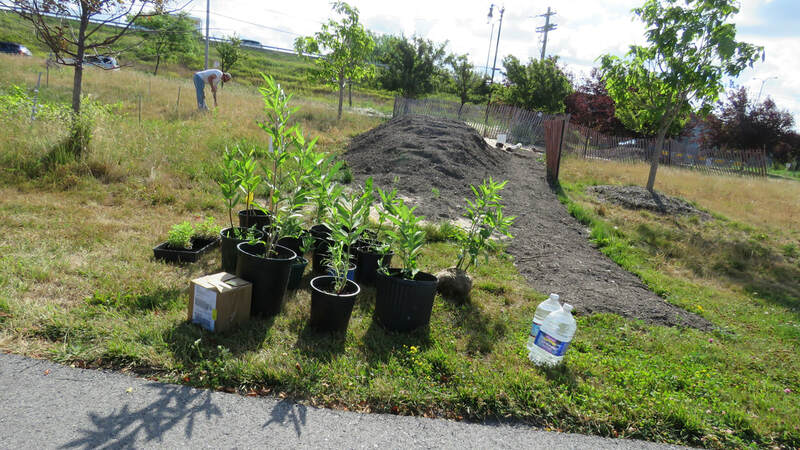 Plant and or conserve milkweed, and make sure that flowering plants are available. Do not use pesticides if possible. Consider both plant and ecological community strategies which includes habitats that are complete systems rather than fragmented horticultural projects. This organization was founded by Fred and Norah Urguhart and is one of the best resources on the internet.